Each stone tile floor adds a unique look and feel to a room. By its very nature, no two stone tiles are exactly alike and they create some of the most distinctive floors available today. Considering a stone tile floor for your entryway, bathroom, kitchen or great room? Let's take a closer look at stone tile floor. A stone tile floor is created by nature and thus, no two tiles are exactly alike. This natural characteristic gives homeowners a truly custom look. The most common types of stone tile flooring include slate, flagstone (sandstone), marble, granite, travertine and limestone. Each type of stone has unique characteristics and really needs to be seen in person to evaluate its fit into your home. 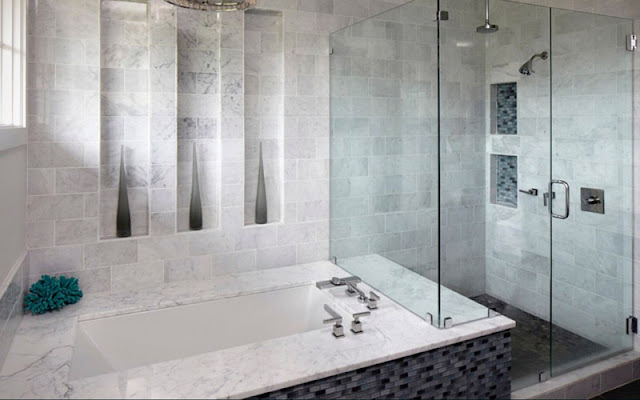 Learn more about stone tile from Indianapolis tile store, Kermans. Stone tiles aren't for everyone. If you're looking for a floor with a consistent appearance across the room, you shouldn't go with natural stone tile. Stone floors also require proper sealing to keep them stain-resistant and they are one of the more expensive floors on the market. Want to learn how stone tile can make a beautiful impact in your home? Schedule a free appointment with one of our design consultants. They can show you the different types of stone tile available and teach you the pros and cons of each. Our focus is to help you make the best decision for your home, lifestyle and budget.